Four years ago this island didn't exist. 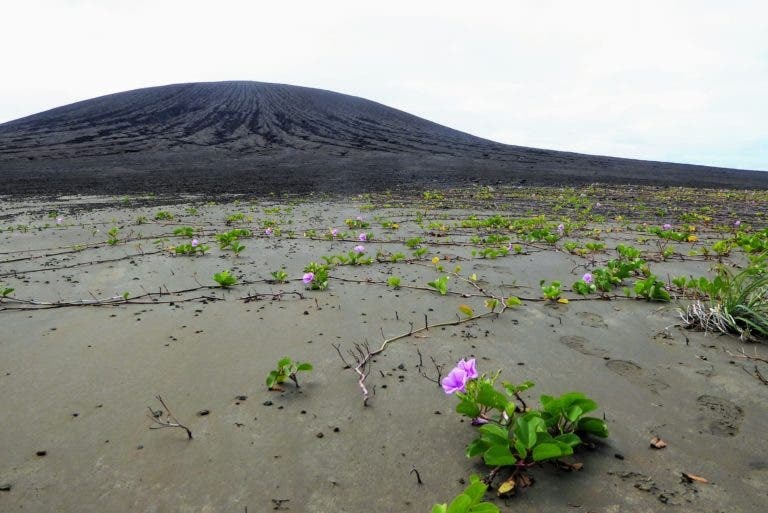 Now it's full of vegetation and "mystery mud"
In 2015, a new island formed due to an eruption of an underwater volcano. Now, one NASA scientist has visited it. The three-year-old volcanic island (center) as seen from the SEA drone. The island remains officially unnamed, but it is generally referred to as Hunga Tonga-Hunga Ha’apai. Credit: Sea Education Association / SEA Semester / NASA. “There’s no map of the new land,” said Dan Slayback of NASA’s Goddard Space Flight Center in Greenbelt, Maryland. 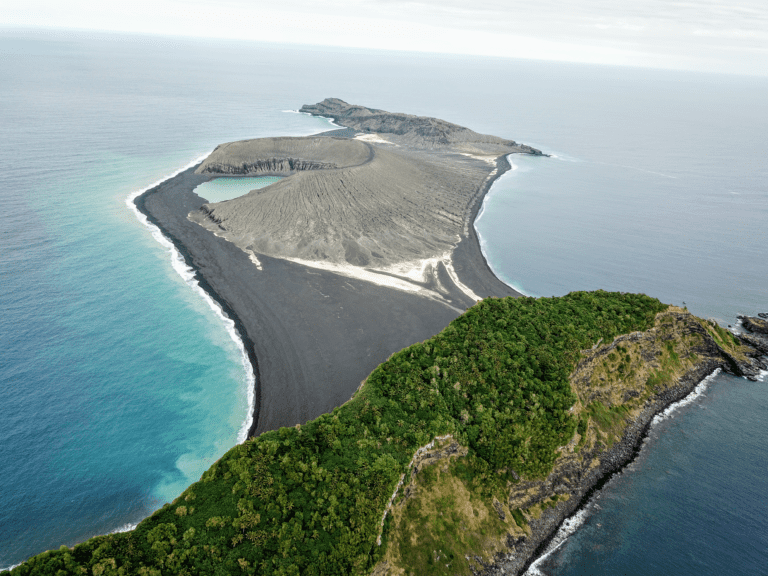 Nestled between two other volcanic islands, the newly formed landmass was mostly known from satellite. Even so, it taught geologists quite a bit about how islands can form — but there’s only so much you can learn from satellite. Right off the bat, it was clear that the island was full of surprises. First off, it wasn’t the flat landscape the team was expecting. The surprises just kept on coming. The team came across something no one was expecting: mud. How this mud came to be on a volcanic island is anyone’s guess at this point. Vegetation taking root on the flat isthmus of Hunga Tonga-Hunga Ha’apai. The volcanic cone is in the background. Credit: Dan Slayback / NASA. As they were walking across the island, they also noticed the vegetation, as well as the fauna. The first animal they saw was a barn owl — which, while unexpected, isn’t all that surprising, as barn owls are found all over the world. How the owl got there, however, remains a mystery. They also came across hundreds of nesting sooty terns that had taken shelter in the deep gullies etched into the cliffs surrounding the crater lake. Slayback also took samples of rocks — like any respectable Earth scientist would. He harvested several small samples (with Tongan permission) for mineral analysis back at Goddard’s Non Destructive Evaluation Lab. But perhaps even more importantly, he took exact measurements of the island’s position and elevation. 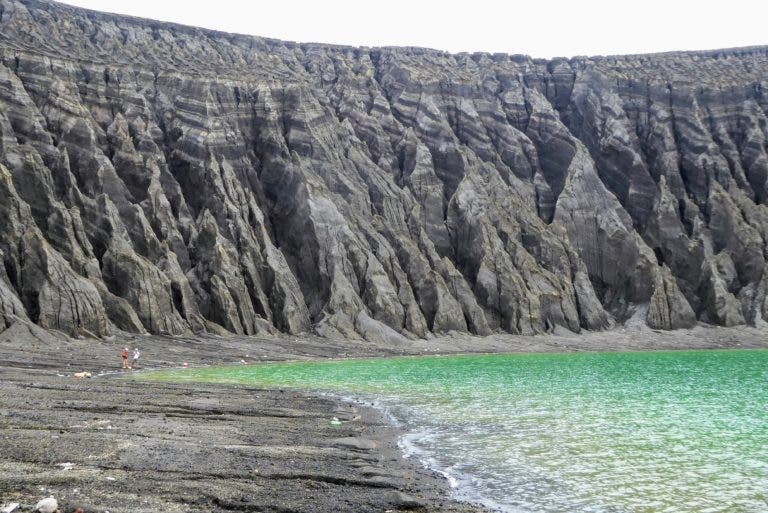 The cliffs of the crater lake are etched with erosion gullies, which are getting bigger. Image credits: Dan Slayback / NASA. So he used two GPS systems: one which was fixed, as a reference, and one which was mobile. With this, he was able to take 150 measurements, obtaining a precision of under 10 centimeters. He found that the island is quickly eroding, making for an excellent time-lapse geological study. The data is currently being processed and analyzed, and Slayback hopes to return next year to find out even more answers about the island.